ASM Access has a range of door automation offerings for both hinged and sliding door options. ASM have been helping our clients in the social housing, education, health and the commercial sectors with both new installations and automatic door maintenance. Our product range offers solutions for individual doors in the home for disability adaptions through to communal and internal high traffic doors in public traffic areas. ASM install our door automation gear to existing doors or incorporate our products with new doors from our strategic door partners. Automatic solutions can be provided to suit most existing doors, which can be connected to existing or new access control, door entry and electronic fob systems. To request a survey to assess your requirements and provide a solution for your access needs, contact us on 01905 347136 or by email to info@asmaccess.co.uk. 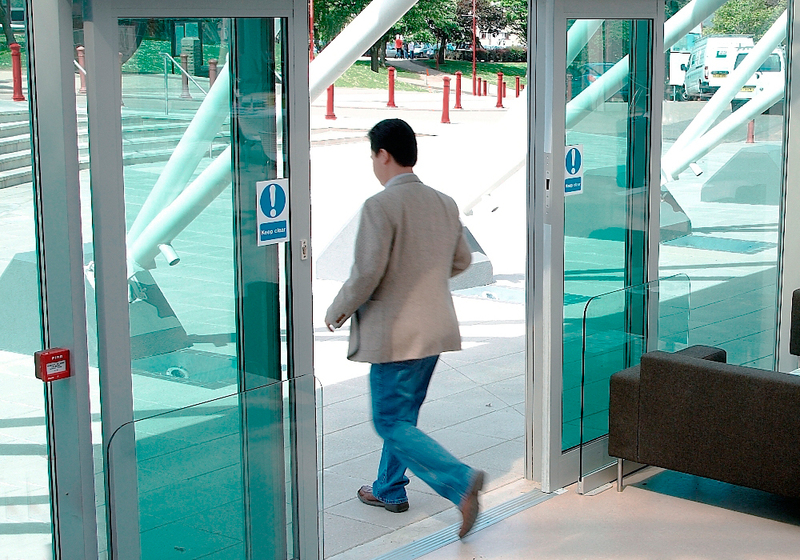 ASM provide innovative access solutions that demonstrate how entrances can be opened and closed dependably, energy-efficiently and enabling barrier-free access. Our range of automatic hinged, sliding and space saving doors allow relative design freedom and offer a complete system solution for your design. ASM are experts at installing and maintaining door automation systems across many sectors and for many businesses, including registered social housing, independent living, extra care schemes, blue chip companies, as well as schools, offices and factories.